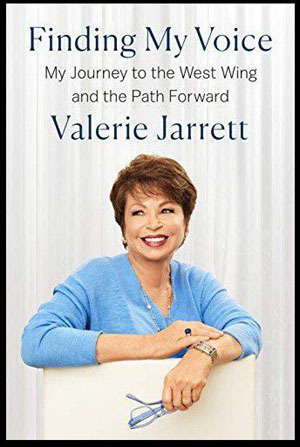 Valerie Jarrett’s book “Finding My Voice: My Journey to the West Wing and the Path Forward”, has not even cracked the top 1,000 on Amazon or Barnes and Noble but somehow has a spot on the New York Times bestseller list. The book, published April 2, is number 1,030 on Amazon’s list of top sellers. It ranks 1,244 on Barnes and Noble, where signed copies are being sold for less than the suggested retail for unsigned copies. The book made it to 14th on the New York Times bestseller list. Some in the book publishing business are questioning whether Jarrett, a top adviser to former President Barack Obama, paid a company to game the numbers, The Daily Caller reported on April 14. Jarrett likely paid a company that helps authors buy their way onto the list, the insider said. According to BookScan, which tracks sales figures, Jarrett’s book sold 12,600 copies in its first week. That should have put it at number five on the best seller list, “except they excluded a big chunk of her sales for being sketchy. They’ve declared shenanigans,” a book editor, who wished to remain anonymous, told the Daily Caller. The Publishers Weekly bestsellers list, which is based on BookScan data, omitted Jarrett’s book from their list of top 25 titles, even though it seemingly should have been seventh. Just 10 days after launch, the hardcover price of Jarrett’s book on Amazon was slashed to $18 from the $30 list price.